Papayas are very helpful for the prevention of atherosclerosis and diabetic heart disease. Papayas are an excellent source of vitamin C as well as a good source of vitamin E and vitamin A.These nutrients help prevent the oxidation of cholesterol. Only when cholesterol becomes oxidized, it able to stick to and build up in blood vessel walls, forming dangerous plaques that can cause heart attacks or strokes. One way in which dietary vitamin E and vitamin C may exert this effect is through their association with a compound called paraoxonase, an enzyme that inhibits LDL cholesterol and HDL cholesterol oxidation. Papayas are good source of fiber, to lower high cholesterol levels. 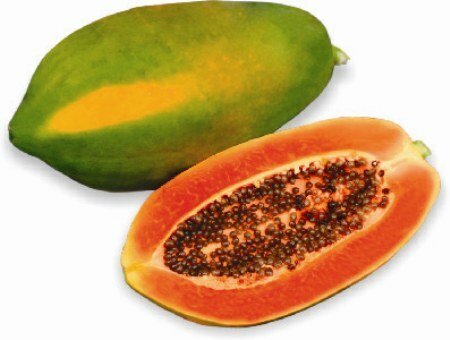 The folic acid found in papayas is needed for the conversion of a substance called homocysteine into amino acids such as cysteine or methionine. If unconverted, homocysteine can directly damage blood vessel walls, is considered a significant risk factor for a heart attack or stroke. The nutrients in papaya has been helpful in the prevention of colon cancer. Its fiber is able to bind cancer-causing toxins in the colon and keep them away from the healthy colon cells. These nutrients provide synergistic protection for colon cells from free radical damage to their DNA. Increasing your intake of these papaya is good idea for individuals at risk of colon cancer. Papaya contains several unique protein enzymes including papain and chymopapain. These enzymes help lower inflammation and to improve healing from burns. In addition, the antioxidant nutrients found in papaya, including vitamin C, vitamin E, and beta-carotene, are also good at reducing inflammation. This may explain why people with diseases that are worsened by inflammation, such as asthma, osteoarthritis, and rheumatoid arthritis, find that the severity of their condition is reduced when they get more of these nutrients. Vitamin C and vitamin A, present in papaya made in the body from the beta-carotene are needed for the proper function of a healthy immune system. Papaya may therefore be a healthy for preventing such illnesses as recurrent ear infections, colds and flu. High doses of vitamin C makes osteoarthritis, a type of degenerative arthritis that occurs with aging, another indicates that vitamin C-rich foods, such as papaya, provide humans with protection against inflammatory polyarthritis, a form of rheumatoid arthritis involving two or more joints. If you are smoker, or if you are frequently exposed to secondhand smoke, then making vitamin A rich foods, such as papaya, your healthy way of eating save your life .vitamin A’s protective effects may help explain why some smokers do not develop emphysema. “There are a lot of people who live to be 90 years old and are smokers” Why? Probably because of their diet. The implications are those who start smoking at an early age are more likely to become vitamin A deficient and develop complications associated with cancer and emphysema. If someone you love smokes, or if your work necessitates exposure to second hand smoke, protect yourself by making sure that at least one of the World’s Healthiest Foods that are rich in vitamin A, such as papaya, is a daily part of your healthy way of eating. Eating regularly lycopene-rich fruits, such as papaya, may greatly reduce a man’s risk of developing prostate cancer.In this case-control involving 130 prostate cancer patients and 274 hospital controls, men taking papaya were found to have an 86% reduced risk of prostate cancer. It was found between the men’s consumption of lycopene-rich fruits and vegetables such as tomatoes, apricots, pink grapefruit, watermelon, papaya, and guava. Men who most frequently enjoyed these foods were 82% less likely to have prostate cancer compared to those consuming the least lycopene-rich foods. 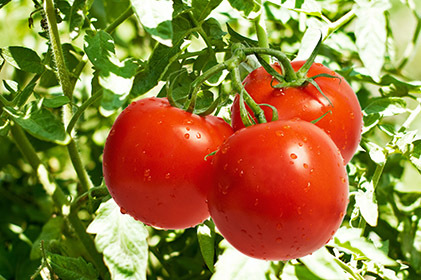 Regular consumption of foods which is rich in lycopene resulted in a synergistic protective effect, stronger than the protection afforded by either. If you have digestive problems, you must consume eating papayas. because they contain an enzyme called papain, which helps with the digestive process. It can prevent you from constipated and may also help end diarrhea. papain has also been used as a way to treat stings from bees and jellyfish. If there is nothing besides papaya available in the house, it may provide you with relief. If you often have nausea, it is because you have morning sickness or you get sick when you are traveling, you may want to consider adding papaya to your diet. Papaya is known to prevent this type of nausea or provide you with relief once you already have it. The papaya provides the body with lung protection is because it contains Vitamin A. When a person experiences lung cancer or other lung conditions, they often have a deficiency of Vitamin A. If you are worried about getting lung cancer due to secondhand smoke or working conditions, then you really may want to consider adding papaya to your daily diet.There are many people who believe that papaya will also help protect the heart from disease and the body from developing various forms of cancer. The papain is very useful for the treatment of various skin irritations and wounds. It has also been used for the treatment of bedsores, burns, wounds from surgical procedures and skin ulcers. Papain lotions are used on wounds in the healing process and not on open sores. When applied to the skin, be careful as not to let the ointment come in direct contact with open wounds. Group of compounds found in cucumber called cucurbitacins.cucurbitacins A, B, C, D and E have all been identified within fresh cucumber. Cancer cell development and cancer cell survival can be blocked by activity of these cucurbitacins. Second group of cucumber phytonutrient are lignans. The lignanspinoresinol, lariciresinol, and secoisolariciresinol have all been identified within cucumber. The role of these plant lignans in cancer protection involves the role of bacteria in our digestive tract. These reduce the risk of estrogen-related cancers, including cancers of the breast, ovary, uterus, and prostate has been associated with intake of dietary lignans from plant foods like cucumber. 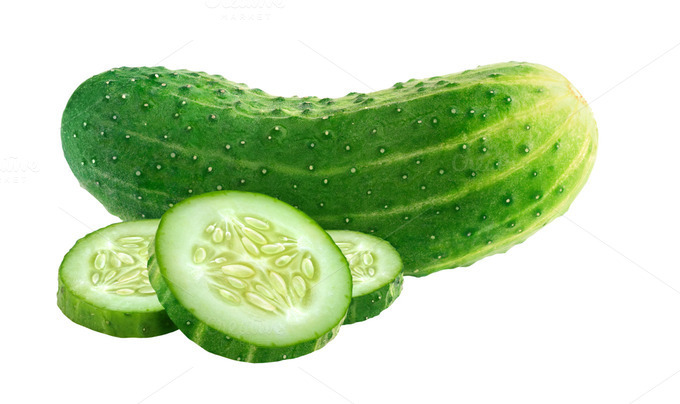 Cucumber is very useful for skin problems, sunburns and also for curing swelling under the eyes. Cucumber contains hydrogen which is suitable to the skin texture. Cucumber juice is also effective to soften the skin texture.It contains caffeic acid which assists in preventing water retention. Placing two cucumber slices on eyes for ten minutes can reduce the puffiness considerably. Cucumber is also known to be beneficial for curing skin diseases like eczema. Cucumber is rich in silicon and sulphur and regular intake of this fruit promote healthy hair growth. Cucumber contains salts and vitamins that are good for cell growth. Because of its water base it is very useful as diuretic. It has cleansing action inside body and removes the old waste. It assists in eliminating uric acid and is good for those who have arthritis. Cucumber contains hormone that is required by the pancreas to produce more insulin and is thus an essential diet for diabetics. Also the carbohydrate content in cucumber is zero. These carbohydrates are quickly digested and do not increase the sugar level in diabetics and can be easily consumed. Hence by consuming this fruit diabetics can be reduced. Cucumber is to be taken for weight loss. Its high water content and no calories make it ideal for losing weight effectively. It keeps the body satiated with water and keeps away hunger pangs and at the same time does not add to the fat intake. The high water content flushes out the toxins from the body. The eyelids, brows and eyeballs can be protected from infection due to the usage of cucumber. Any darkened spots, wrinkles, fine lines, and dents under the eyes can be healed if cucumber is applied as per the direction of doctors.